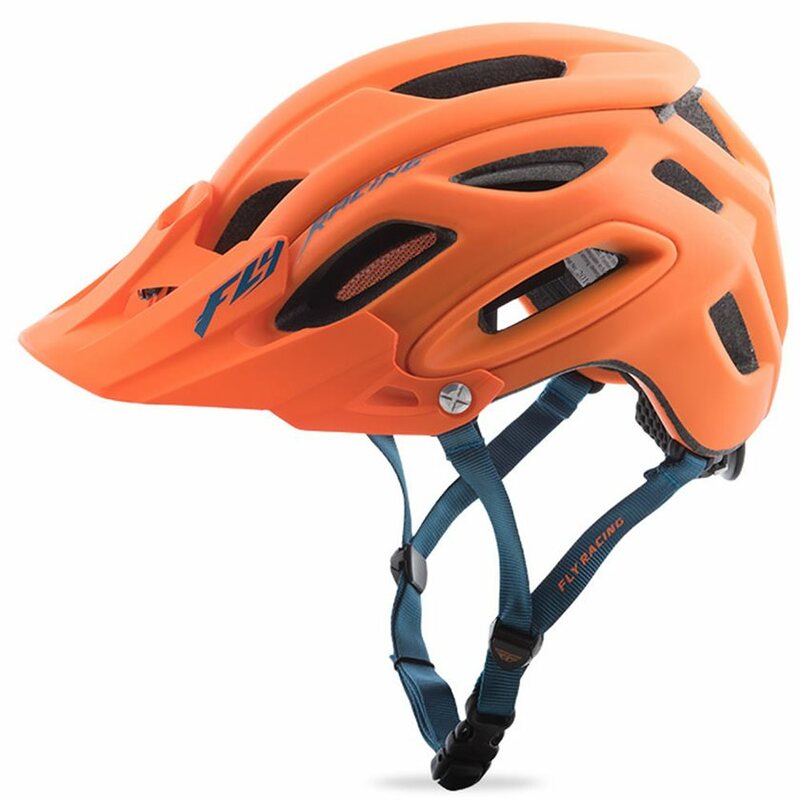 The Freestone Helmet by Fly Racing was sculpted as a true all mountain/ trail lid. Through its progressive ConeHead Technology, the Freestone features a revolutionary EPS foam system that acts as a crumple zone around the head to absorb and dissipate impact forces more efficiently than conventional hard foam liners. Two separate foams with two different densities work seamlessly together to create a resilient inter-foam bond strength with optimal recovery from impact. 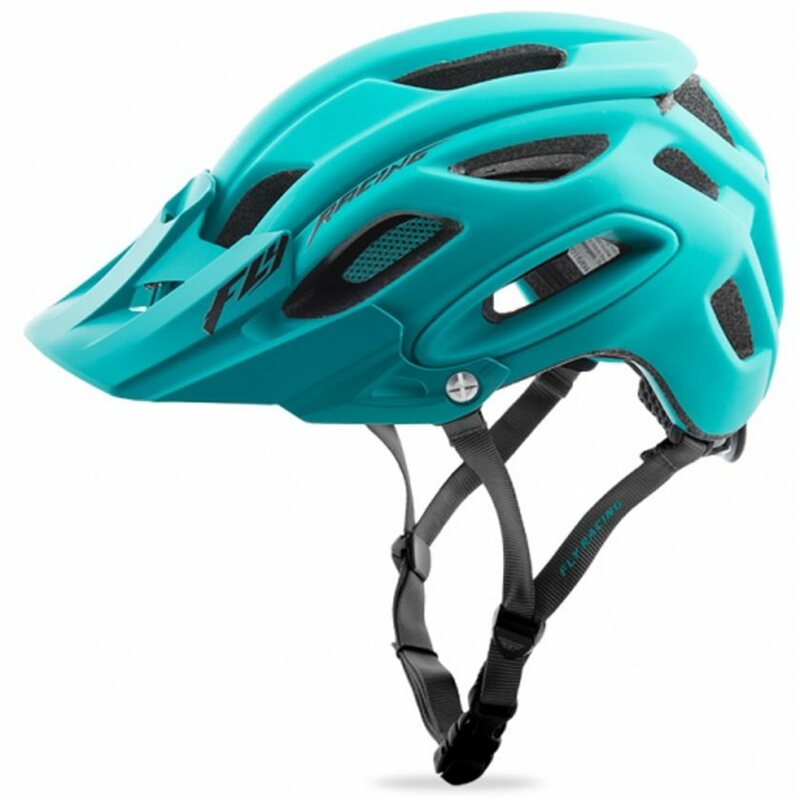 With 19 ventilation ports, the Freestone helmet excels at keeping air flowing throughout, while the built-in mesh comfort liner serves as a bug screen to prevent ride-ending insect bites and stings. The one handed fit adjustment makes it quick and easy to dial in the perfect fit on the fly. The Freestone helmet's 6 piece shell construction and simple, yet aggressive, aesthetics look just as good tearing up the weekend enduro as they do caressing the local loop during the week. 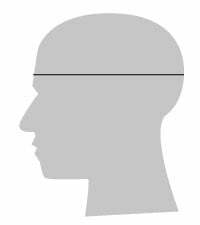 With a cloth measuring tape, find your heads circumference just above the ears. Didn't buy this helmet off of Jenson, got it from a local shop, but just figured I'd say how surprisingly durable and protective it is. Took a good digger yesterday when I landed and my front tire washed out sending me straight to my head. No headache or anything today, and just scratches on the helmet. I've worn this helmet on 5 rides now, some with balaclava underneath, some w/o. Adjustable size fits both ways. Adjustment knob is large and easy to use even with full finger winter gloves. Helmet stays in place. Adjustable visor is nice, but a little difficult to get at the dial that tightens it into place. Sweet helmet! Love the bright orange color too. I finally got to use my new Fly Racing helmet last night. Fit is excellent with the dial tensioning system. Comfort is excellent as well. The bug screen at the front 1/3 of the helmet serves multiple purposes. In addition to keeping pesky insects out, it also successfully keeps most of the sweat out of my eyes and acts as a hammock for my forehead. Much better than older helmets creating pressure points. I would definitely recommend this helmet. Haven't had it long but so far it is really comfortable, light, and fits great. Great Helmet! Light perfect fit. Adjustability is a plus. 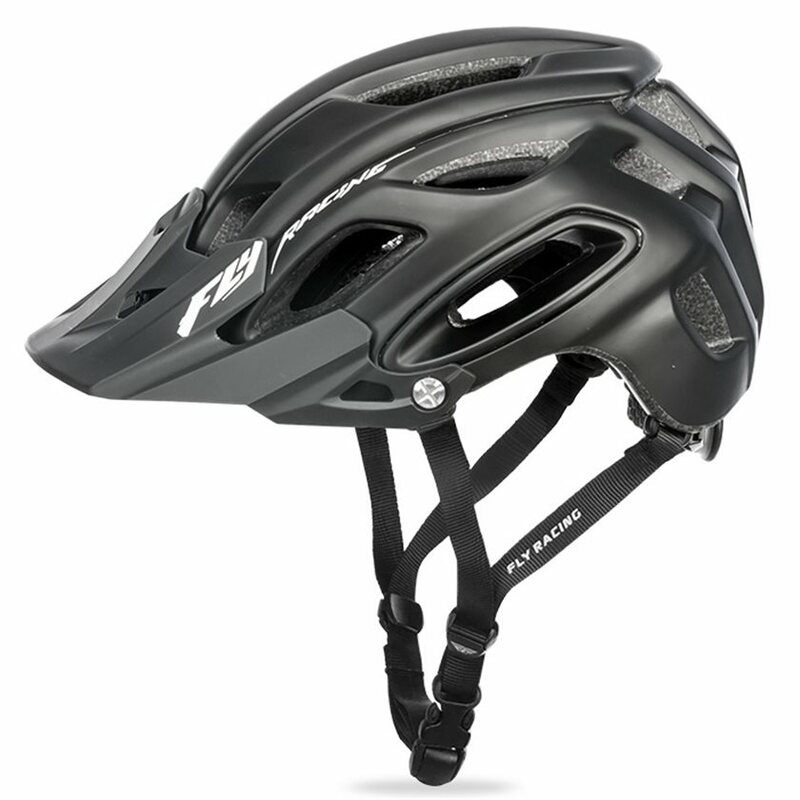 This Fly helmet replaced a 10 year old Giro. The color is vivid - I got the orange. The fit is excellent and I love the two densities of foam. Being able to adjust the dial with one hand is new to me and I love that feature. It can get nice and snug and with the light weight I really don't notice it when riding compared to my old helmet. 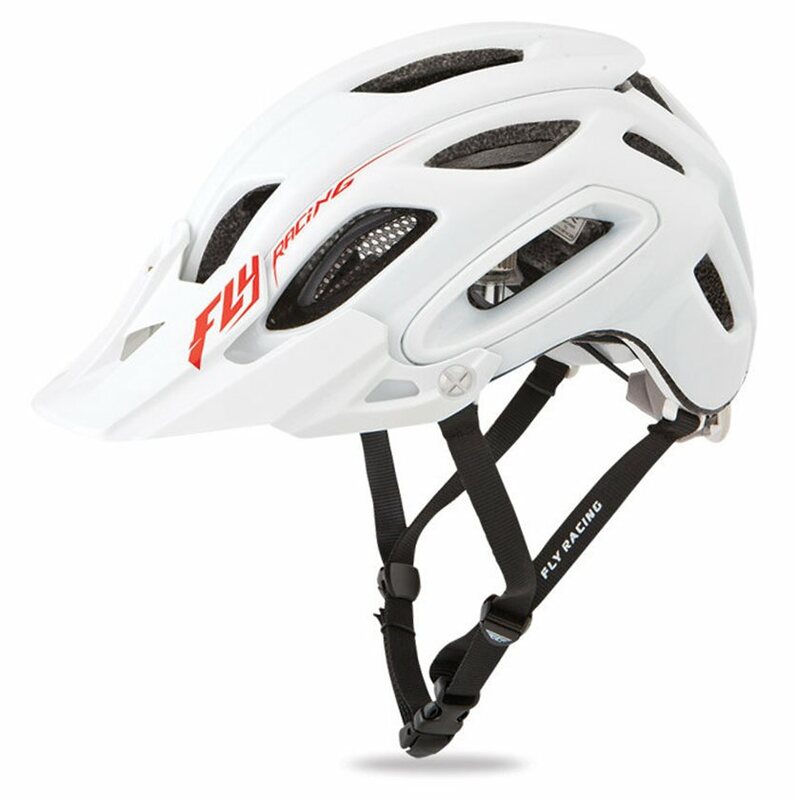 This is my second fly racing freestone helmet. I liked the first one so well I bought a second one. Great helmet. Better than my Fox helmets. Fits like a glove (sizes do run just a tad smaller). Light and attractive. This thing covers my melon with style and comfort. Good looking, well fitting helmet. Great ventilation and I like the vent netting. Single dial knob easy to work with even with full finger gloves. Same with the visor and it works just the way I like it to. I like my Visor setting so that I can push it up or pull it down and it stays where I put it. See if it holds up over time. Originally tried the M/L based on head measurements. Ran small for me. Easy swap out and Jenson was impressively fast. I haven't crashed in it (yet) but it feels good. Very comfortable and well vented. Good quality straps and padding. I'm happy I bought it. I originally was looking for a new helmet to wear while on the trails. My road helmet didnt quite have enough coverage. My head is 55cm and the M/L fits well with enough room to accommodate headwear in the winter. The helmet looks good and feels like a quality piece for what you pay. The only issue and reason for only 4 stars is the retention system. My road helmet isn't a high end lid, but its ratchet system feels more substantial. I havent had an issue with the Freestone's ratchet system, but it just doesnt inspire much confidence as i tighten it down. The helmet arrived quickly and was exactly the product as expected from what was noted on line. Delivery from Jenson as usual was excellent.